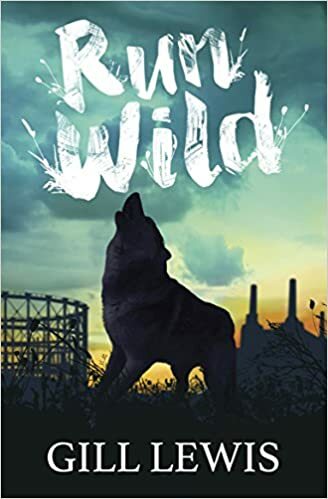 Today on Love Books Group Blog, I am delighted to start our collaboration with Barrington Stoke with a book review of Run Wild by Gill Lewis. Izzy and Asha need a space to call their own, away from difficult families, the Skull brothers and the trouble they bring. But the derelict building site where they stake their claim already belongs to something else, a wilderness they never expected and an injured wolf that desperately needs their help. Can they reconnect to the wild and save the wolf? Or is their pack too weak to fight much stronger powers? A stunning tale of our lost connection to nature and the wild that hides in us all, from renowned storyteller Gill Lewis. Particularly suitable for struggling, reluctant or dyslexic readers aged 8+. I really enjoyed my time with Run Wild by Gill Lewis. A thought-provoking story that will appeal to all. Covering a plethora of issues faced by children today, Ms Lewis incorporates difficult topics in a plot that will encourage questions and interaction. The cover is beautiful and really encompasses the essence of the book. With an abundance of relatable characters, the story takes us on a journey into an abandoned gasworks. But what the children find there changes everyone’s life’s forever. All Barrington Stoke books are dyslexia friendly. More information about them is below. A beautifully written book that encourages us all to find our own inner wild.